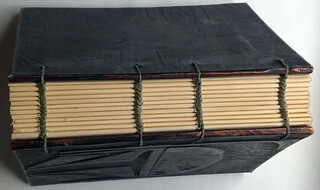 I made 25 books this past weekend. Then 60 one page folded pamphlets and 6 felt books all for Christmas. 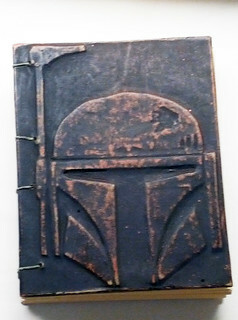 And that Bob's Fett book for the work party. Work is having a Christmas party next week and we are exchanging White Elephant gifts. 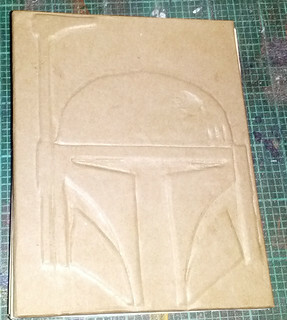 A prize goes to the geekiest but they might not realize I made geeky stuff all the time. I don't even know if this is what I'll give them, I could have more ideas before the party. Update!!!! : I did not win. No. Just to maintain the sad truth that LIFE IS NOT FAIR, my coworker who forgot to bring something gave a circuit board clock he made and has had at his desk for the past 10 years. 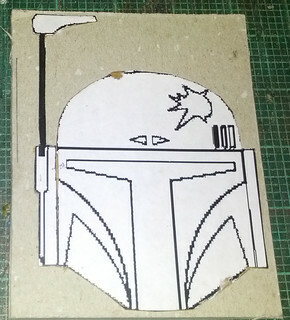 Print image and glue to a piece of a cereal box. 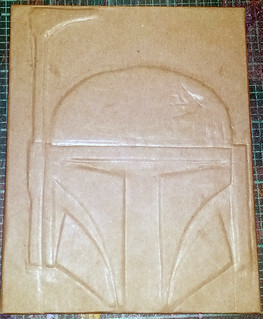 Cut out image and glue to book board. 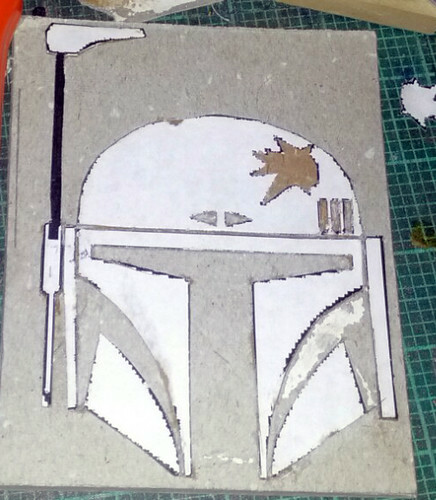 Cut relief into Boba Fett. 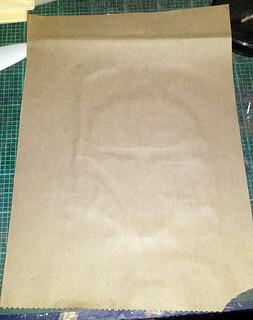 Using a piece of a paper bag (from the grocery store), gently press into the image. Bust out that bone folder! Burnish the everloving crap out of it. Did I say you could stop? You stop when the glue is too dry to let you continue. And then a little bit more beyond that point. Copper paint. It makes it easier to see what didn't look so good burnished. Spray with black enamel paint. And since it's been snowing all weekend, hit it a few times and then bring it inside to dry. 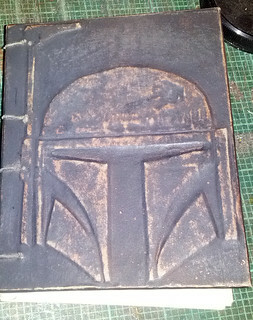 After binding sand with a very fine grit of sandpaper. I probably could have used a green pot scrubber and gotten the same result. Coptic bound. 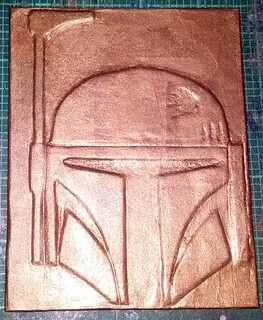 The effect of snowing while I sprayed the black left little dots of copper visible that I didn't have to sand. A bit sparkly but it works.